Your body has an incredible capacity for healing. Think of when you break a bone — though a cast may stabilize the area, your body does the actual work of getting your bone back into shape. The body is also self-regulating. For example, when you run, your heart rate, respiration and blood pressure increase. When you stop running, these levels return to normal. The major control for all function in the body is the brain and nervous system. 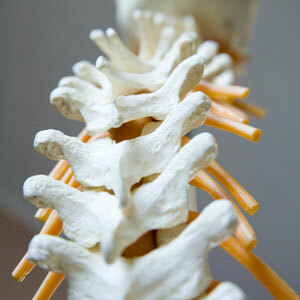 At ProWellness Chiropractic and Rehab, our services are designed to support your body’s inborn capacity for health. Dr. Johnson makes sure there’s no interference or tension on your spinal cord or the nerves that go to your muscles, joints and organs. This pressure can negatively affect your body’s healing and regulating capabilities. With many different techniques available, Dr. Johnson can remove any pressure present so that your body can work at its highest abilities. Custom-created orthotics give your health and wellness a strong foundation. We can tailor this line of products to your lifestyle and activity level. A variety of nutritional products is available at ProWellness Chiropractic and Rehab to support your improved health. We offer multivitamins, omega-3s, digestive enzymes and more that you can purchase directly from us. With a range of options available, we’re ready to tailor a plan to help you regain your well-being.